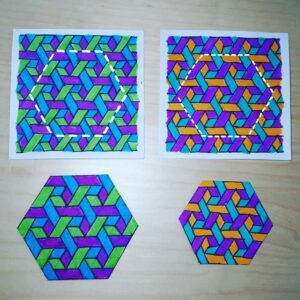 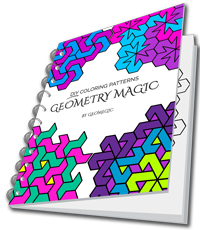 Creating the patterns using Geomegic method (drawing patterns using the grid and then coloring them with the favorite colors) is a fun and rewarding activity on its own however you might be wondering if there is any practical application to this projects? 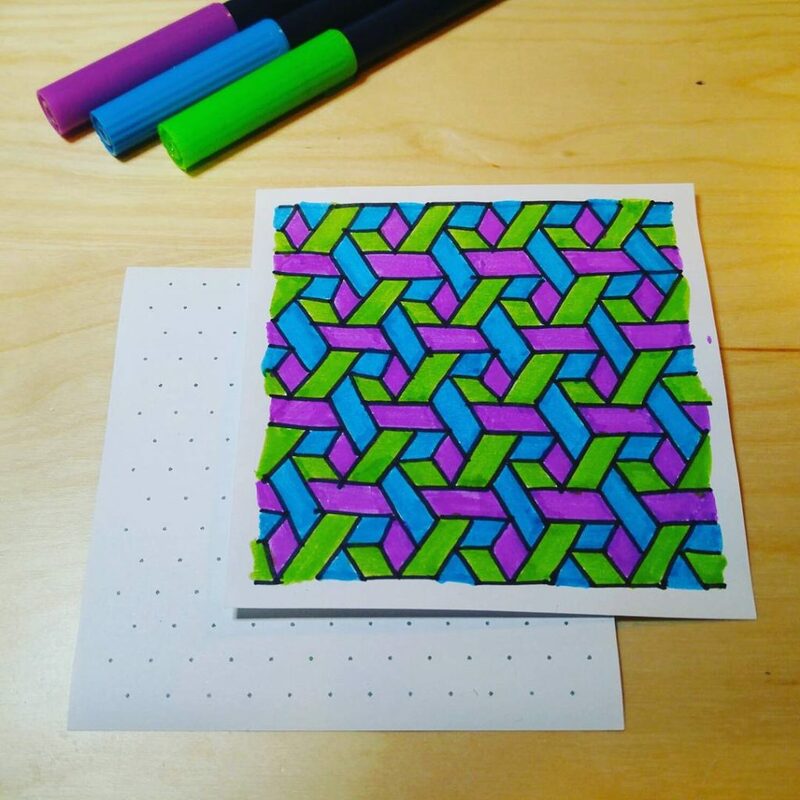 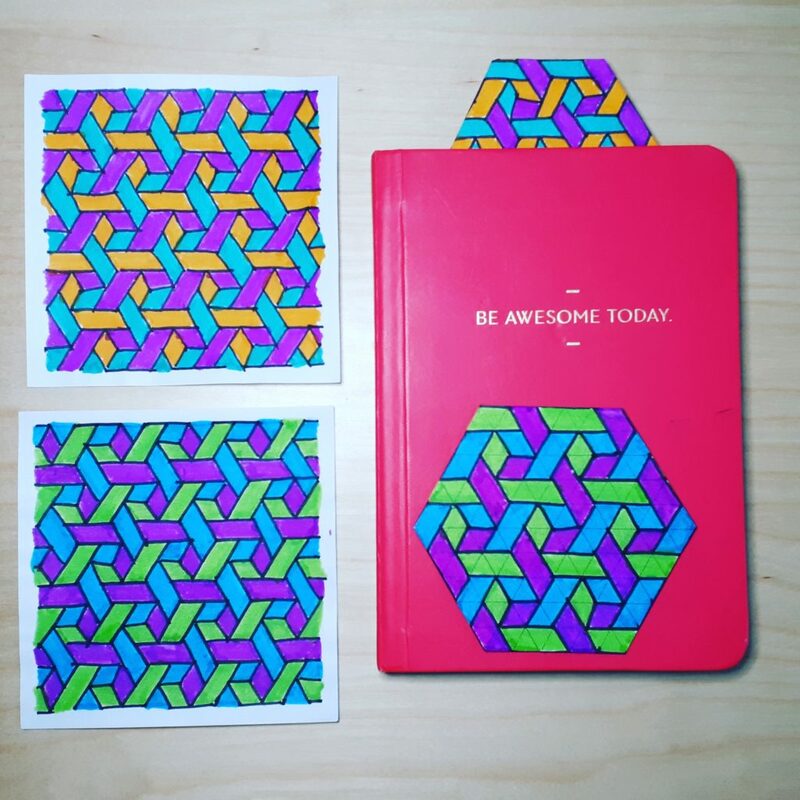 Recently I came up with the idea of folding a bookmark from a coloring pattern. 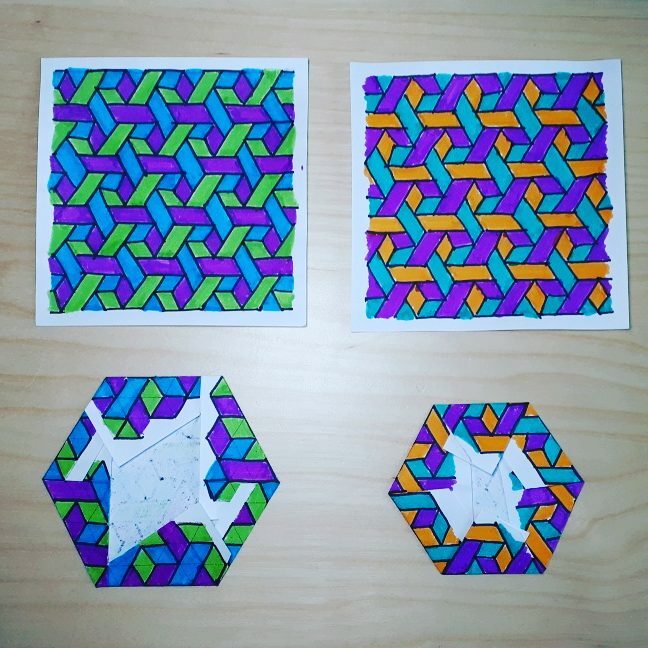 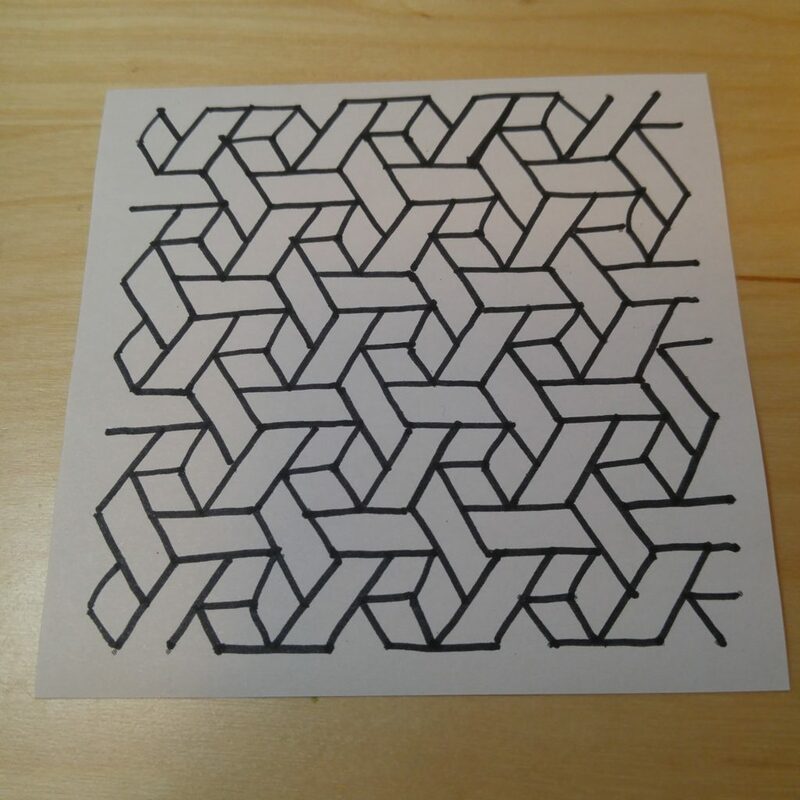 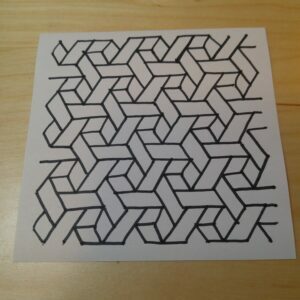 The example below is based on Hexed Cubes coloring pattern, but you can do this with any coloring pattern from this website or the one you created on your own. To create a hexagon shaped bookmark fold the paper on the dashed lines, see images below.